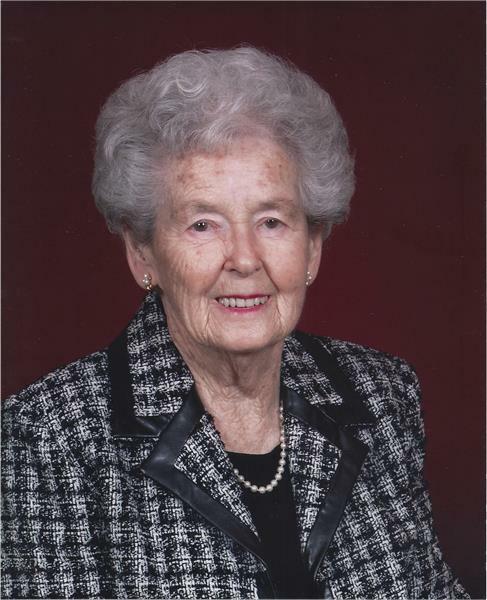 Isabelle “Granny” Durham, 97, of Chattanooga, died peacefully at home, surrounded by her family on Tuesday, January 31, 2018. She was born March 16, 1920 in New Hope, Tn. She was preceded in death by her parents Joe and Pearl Blevins of Kimball, Tn., and the love of her life for 61 years, John W. Durham, son-in-law, A. C. York, and 14 siblings. She retired from Standard Coosa Thatcher after 35 years of service. She was a member of Ridgedale Baptist Church and the GraceSunday School Class. She volunteered in the Child Development Center rocking and spoiling babies for 17 years. The family would like to extend a special thanks to Camellia Home Health and Caris Hospice for their wonderful care. She is survived by her son, Earl (Gail) Durham, daughters, Mazie (Charles) Hill and Doris York all of Ooltewah; grandchildren, Kris (Patricia) Durham of Murfreesboro, Greg (Karissa) York and Tracie Merriman of Ooltewah; great-grandchildren, Ashley (Wade) Watters, Allison (Joe) D’Angelo, Alayna and Isabella York, and Ben Durham; great-great-grandchildren, Braelyn and Wyatt; sister, Pat (Jack) Keef of Kimball; and many nieces and nephews. The family will receive friends on Friday, Feb. 2, from 4-7 p.m. and Saturday, Feb. 3, from 12-1 p.m. at the funeral home. Funeral services will follow at 1 p.m. in the East Brainerd Chapel with Dr. William Owens officiating. Interment will follow at Hamilton Memorial Gardens with Dr. Doug Plumlee officiating. The Grace Sunday School Class will serve as Honorary Pallbearers. Memorial contributions may be made to Ridgedale Baptist Church, 1831 Hickory Valley Road, Chattanooga, Tn. 37421. Arrangements are by the East Brainerd Chapel of Chattanooga Funeral Home, Crematory & Florist, 8214 East Brainerd Road, Chattanooga, Tn. 37421.